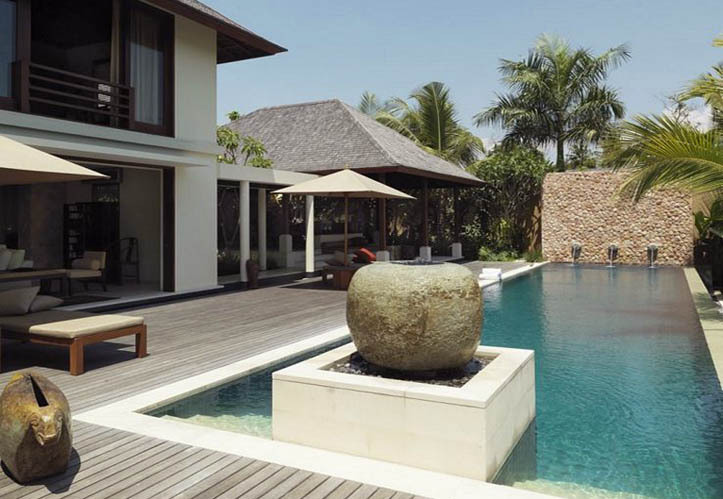 Villa Alor offers you everything you would expect from a 5 star hotel and more. The house is fully operational home from home and occupied all year round. 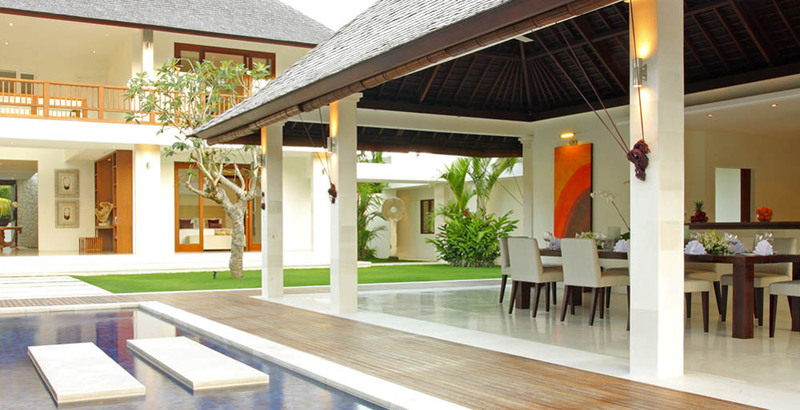 This villa for rent in Bali has been designed for your every need, whether you require complete privacy for your staying in Bali. 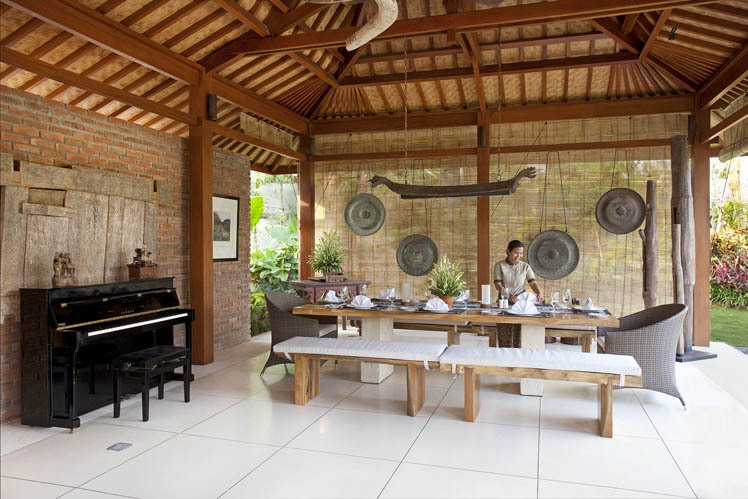 Located in Umalas, traditional Villages of Banjar Bumbak, the preferable villa for rent in Bali. With an access road of 300 meters which leads across beautiful rice terraces. Short distance to Echo beach of Canggu and 10minutes driving to Seminyak Center. This villa for rent in Bali boasts three levels, the ground floor consisting of lounge area with stereo system, the two air conditioned bedrooms share a majestic outdoor bathroom. On the ground level there is also new stainless steel BBQ and pool table for those of you who enjoy the game. The first floor contains the main living area with & home theater surround sound system and LCD satellite TV. The lounge opens out onto a 15-meter terrace and has adjoining fully fitted kitchen and breakfast bar. This third level house is completed AC room with en suite bathroom. The lounge also has separate bathroom. A built in spiral staircase takes you to level two which is the fourth AC bedroom. this room have satellite TV, an en suite bathroom and 320 degree views which include seven volcanoes and the ocean to Uluwatu.